The best way to stay safe while driving is to drive defensively and that’s the focus of Varsity Driving Academy. Every student from Crean Lutheran High School is provided with the knowledge necessary to practice defensive driving. We take driving seriously and try to pass that passion onto our students. Here, you’ll find a few details about how we achieve our goal on a daily basis. 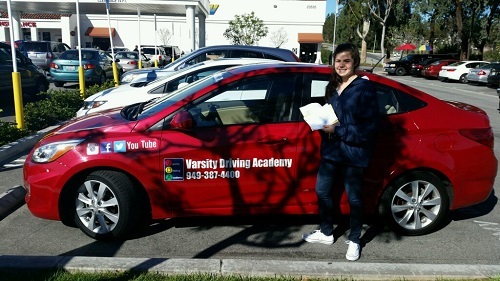 Welcome to Varsity Driving Academy Crean Lutheran High School Driver’s Ed! A free pick up and drop off service is available to students of Crean Lutheran High School to help relieve some of the stress of learning to drive. Today, students are moving at miles per minute, between school, activities, and responsibilities, there is often little time to squeeze another task in every day. 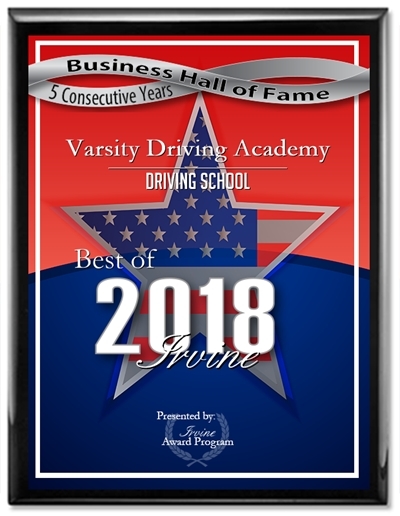 Varsity Driving Academy makes learning how to drive while on the move very easy. Our online course covers everything the DMV requires as well as our own extra tips and knowledge. By allowing students to complete our course online, we can ensure that every student completes the course without falling behind in other areas of their lives. All a student needs is to sign-up, create a username and password and get started from their own computers. Anywhere there is a WiFi connection, there is a Varsity Driving academy classroom. Once students complete the online course and have passed the permit test with the DMV, we can move onto the most important step;behind the wheel training. Each training session is a one-on-one session between the student and the trainer. We make the sessions one-on-one so that students can feel comfortable asking questions, making mistakes, and being honest with our trainers. We feel all of the above is important in order for us to better assist each student by finding strengths and weaknesses and improving them as we see fit. We recommend scheduling the first session as soon as possible after receiving a learner’s permit because our first session will validate the permit in the eyes of the state. After that, each student is free to schedule sessions as they have time and can even request extra sessions if needed. One of the biggest stresses when learning how to drive is dealing with the DMV. No one enjoys waiting on hold to schedule an appointment or figuring out what is needed in order to complete each step. That’s why we take things further by doing all of that for you. Our DMV Package gives us access to the DMV as your representative. We will schedule appointments, let you know what you need for each DMV visit and more. We will even pick you up, take you to the final test at the DMV, and hand over the keys to the same car you”ve been learning in for the test. Feel free to contact us and ask any question you may have at (949)-387-4400. We like to celebrate by helping you share a pic of your new license and you right after passing your license test. Why shouldn’t all your friends know immediately that you now are a licensed driver?